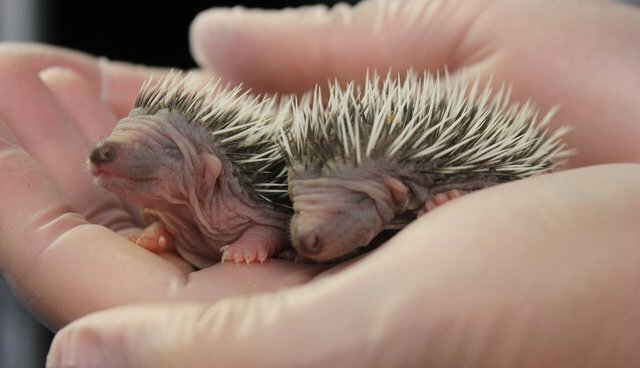 They are believed to be only a few days old, but life so far has been no bed of roses for this prickly pair of baby hedgehogs, also known as hedgehoglets, who were found after being abandoned by their mother. The two tiny babies, measuring no longer than a finger's length, are now in the caring hands of animal specialists at Secret World Wildlife Rescue in Somerset, England, where they are being hand fed every few hours. With any luck, writes the Daily Mail, once the little creatures are strong enough later this summer, they will be released back into the wild.